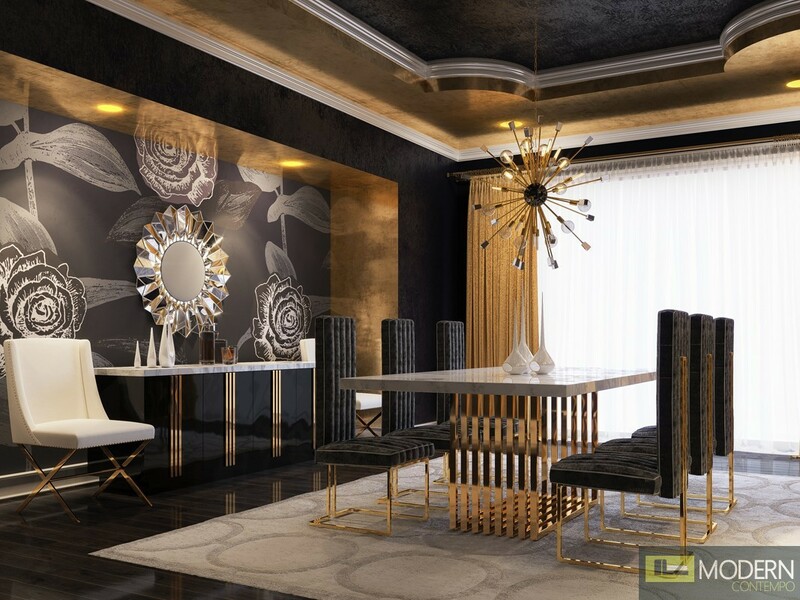 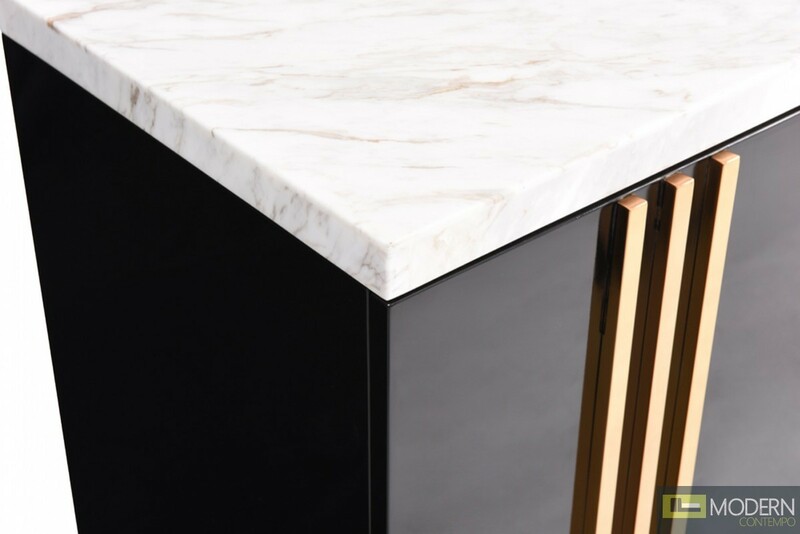 The Da Vittorio Modern Marble & Rose gold Buffet demonstrates an elegant design featuring an ethereal marble top and black high gloss finish. 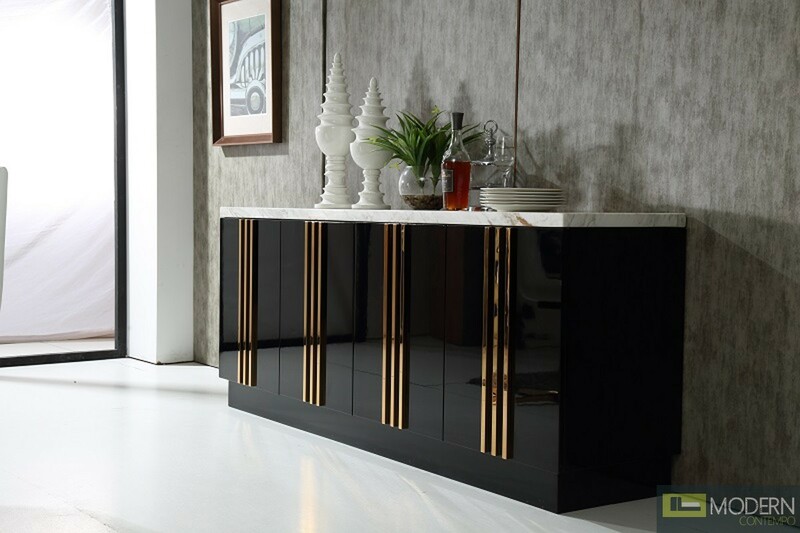 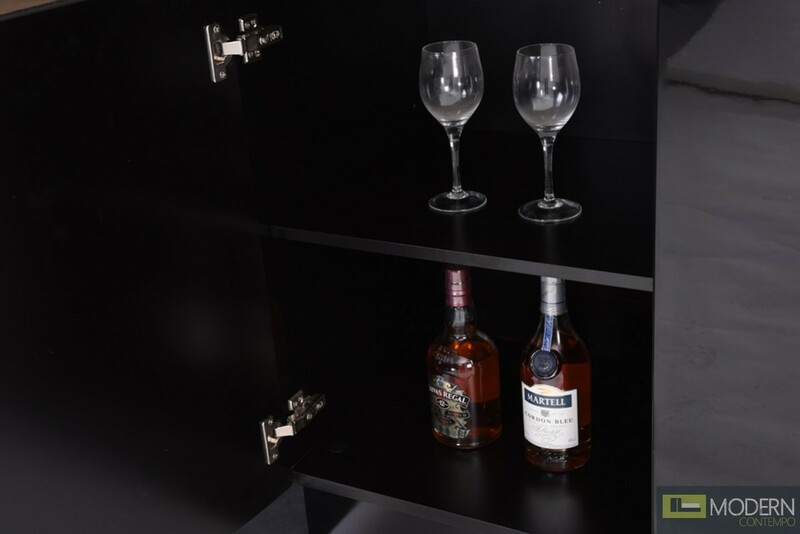 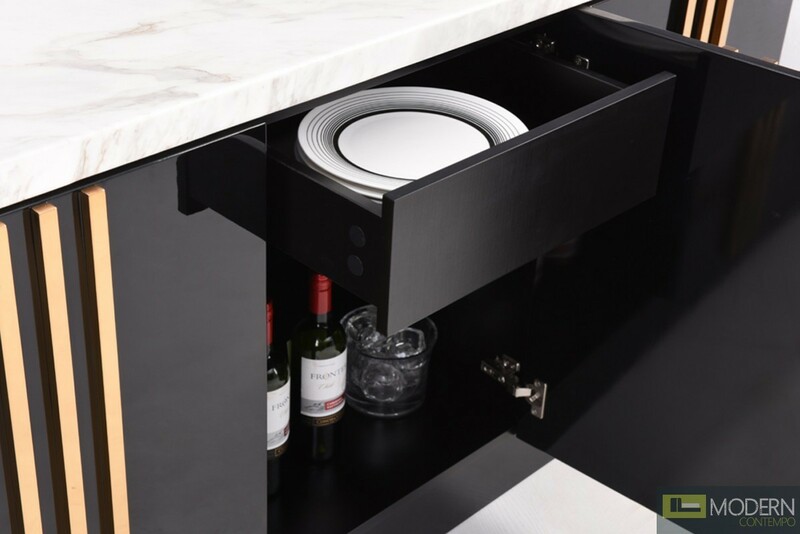 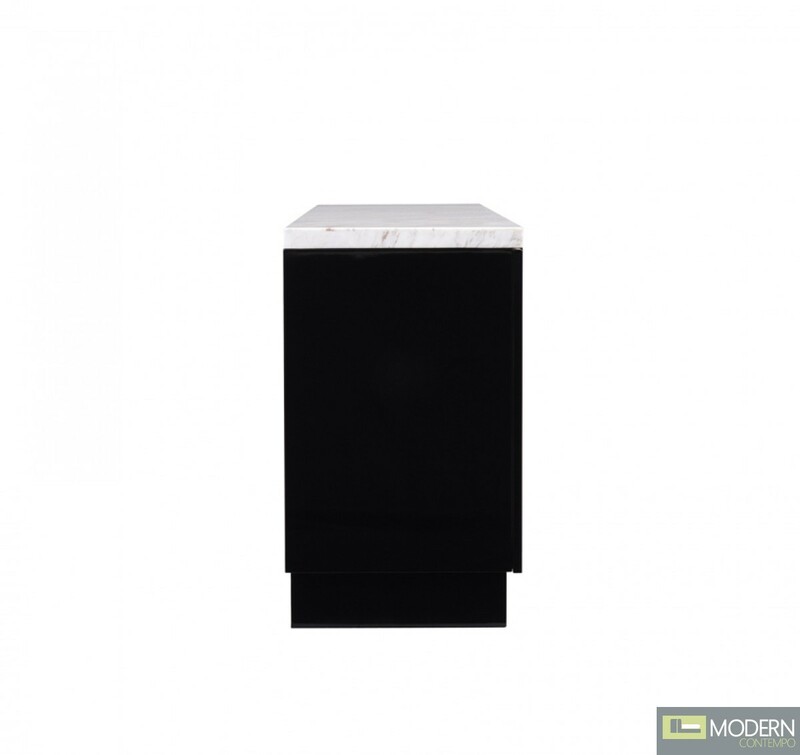 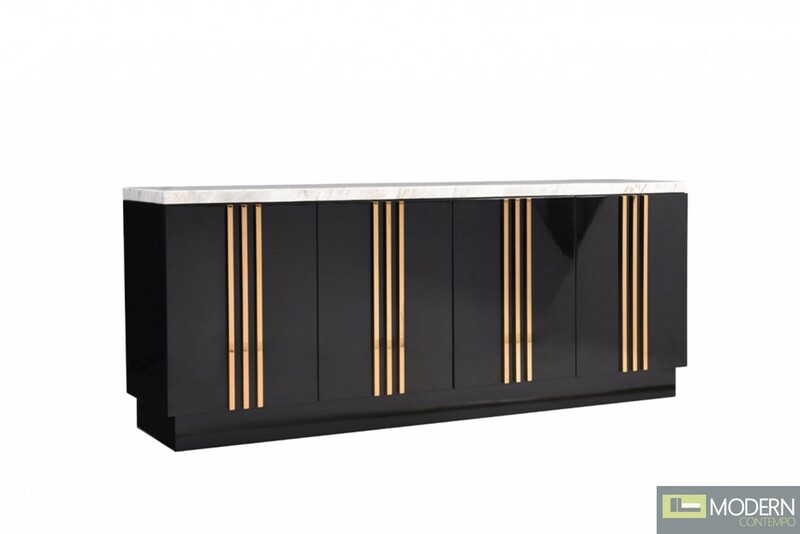 Vertical gold lines adorn the 4-door cabinet that also serve as pulls. 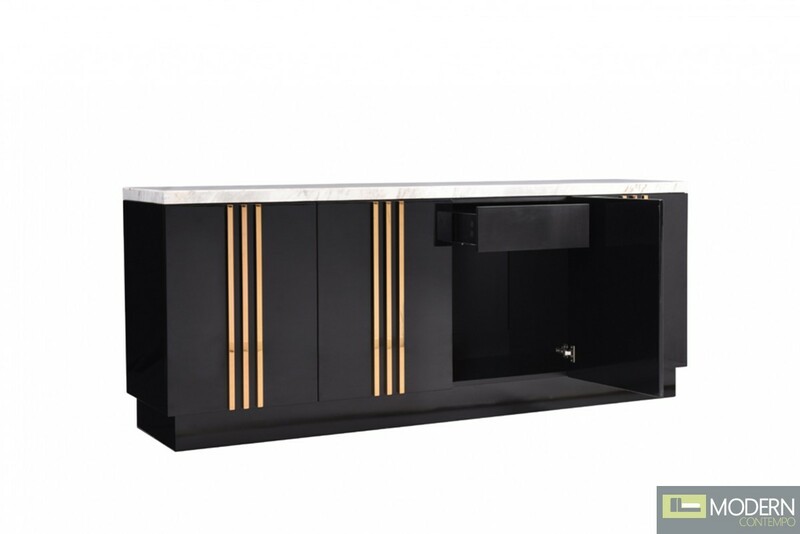 This modern buffet requires no assembly with a dimension of W79" x D20" x H32" would be a sight to behold in your dining room. 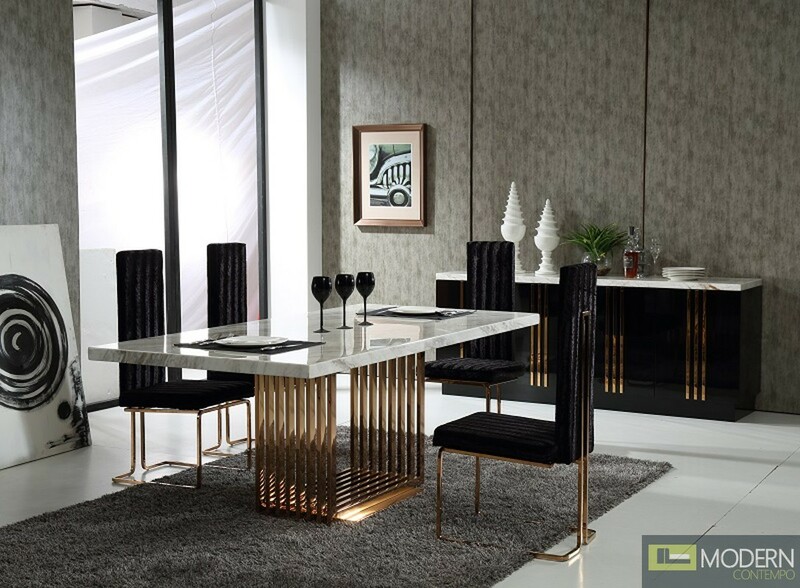 Other Da Vittorio collection items are available and sold separately.